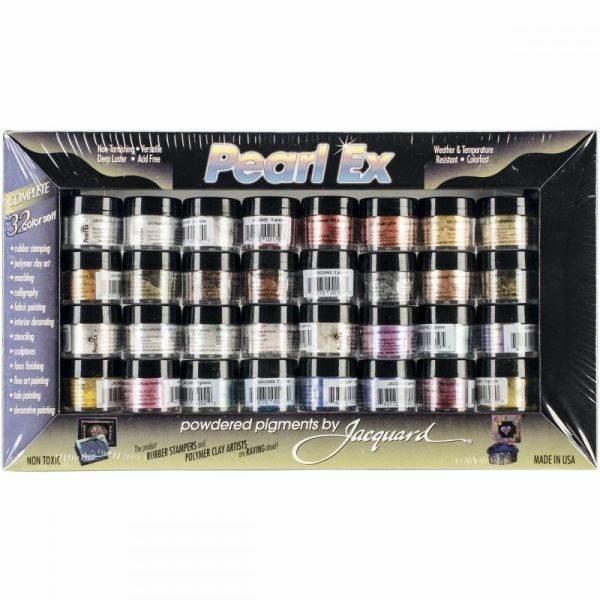 Jacquard Pearl Ex Powdered Pigments 3g 32/Pkg - Jacquard-Pearl Ex Powdered Pigments Set. Perfect for a wide variety of crafting projects including: rubber stamping, polymer clay art, marbling, calligraphy, fabric painting, interior decorating, stenciling, sculptures, faux finishing, fine art painting and more! 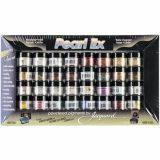 This 7-3/4x13-1/2x1-1/2 inch package contains thirty-two 3g jars of powdered pigments in sixteen metallic colors, five interference colors, three duo colors and eight fashion colors. Non-toxic. Conforms to ASTM D4236. Made in USA.